One of the most efficient mechanism used in 3d printer extruders. With this setup you can easily forget about filament slippage issues. Made of high quality machined aluminium, this setup can work for long long hours without causing any trouble. The lever mechanism makes filament insertion & extraction a quick and easy process without causing any jams at the cold end of the heat break. Now forget inserting and extracting filaments with the help of the motor. The Special U groove wheel along with sharp toothed drive gear gives excellent filament pulling capability to your extruder even while printing at the high speeds. In case you need more tension to pull filament, one can easily do that just by rotating the M4 screw at the top the lever. 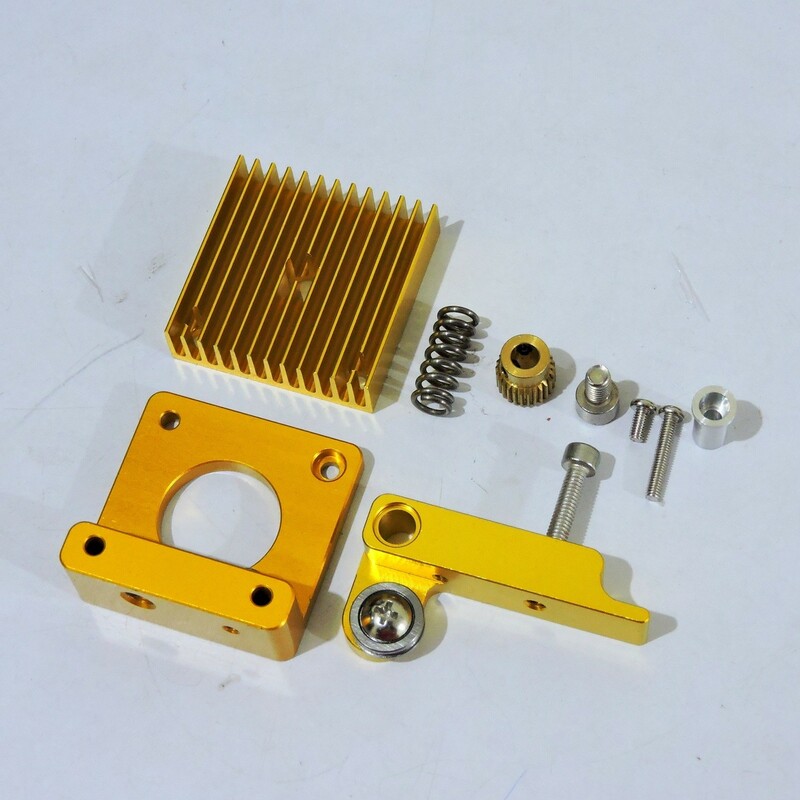 The metal block acts as excellent heat sink for your heat break, thus reducing cold end jams to a great extent. This set up works with standard Nema 17 stepper motors. Please note : This product does not include the Nema 17 Motor & MK8 Hotend.